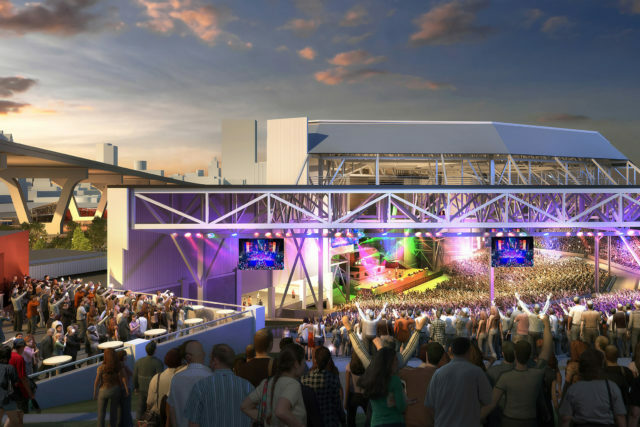 Summerfest’s new American Family Insurance Amphitheater will be partly ready in 2019. But mostly, it’ll be done in 2020. Here’s the breakdown. Unless you’re on the Summerfest bill, you might not notice many differences at the amphitheater this summer. Phase one will give the backstage area a comfortable number of practical updates—14 dressing rooms and 7 loading docks. This year, the amphitheater will also be raising the roof—literally, by about 30 feet. Summerfest has gotten turned down for bookings many times in the past because the production team couldn’t work with the current (really) low roof. While these changes may not seem like they will affect concertgoers, they might notice the changes if it results in some bigger headliners. Phase two is the one for the people. It will be done in 2020. This is where you’ll see all the fancy renderings come to life. It’ll bring more viewing decks and food vendors where you can still see the stage, additional electronic screens, more lakefront views and increased accessibility, though the seating capacity will roughly stay at 23,000. It might not seem like the current amphitheater is that old—and it isn’t. It opened in 1987. But the concert and festival market has changed a lot in that short time. With the opening of the Fiserv Forum and other modern venues nationwide, it’s only getting more competitive. Summerfest officials have told Piet that if they don’t do it now, they will fall behind. Our entertainment opportunities are certainly growing, but so is Milwaukee. We’re in a moment of huge downtown development right now, so we think that the city might be able to cast a wider shadow over the marketplace than we ever have before at the same time. Plus, the American Family Insurance Amphitheater was doing pretty well as it was. And Summerfest is a huge draw already. So, when you combine that history with the freshness of this new venue, we think the future is looking strong. Read more and listen to the podcast below to hear what we think of the changes coming to the American Family Insurance Amphitheater.